I just published my first ebook on amazon/kindle. How Tall Skinny guys get BIG and STRONG. For over two decades I've tried to get bigger and stronger. It all started when I was a weak skinny kid who got pushed around and couldn't move a stuck car out of the snow. If you are a tall skinny kid (generally over 6 feet tall and around 150 lbs.) this book is the solution for you. I went from skinny (150 lbs) to skinny-fat (190lbs.) back down to skinny and lean at 175 and eventually getting bigger and stronger and up to 225lbs. I've had clients add hundreds of lbs. to their lifts, and at least 10 lbs. in just a few months following the principles laid out in this book. Even if you aren't "skinny", I'm sure you know someone who is. 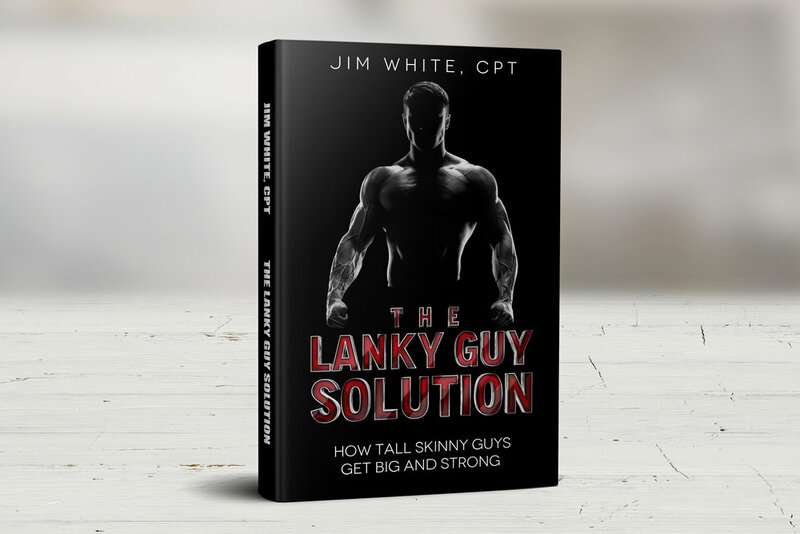 It's more common to think people would rather be skinny but the tall skinny guy often does NOT want to be called "slim". Do me a favor and send this link to a friend, son, cousin, uncle etc.. who is skinny and frustrated by being weak and called pencil-neck.